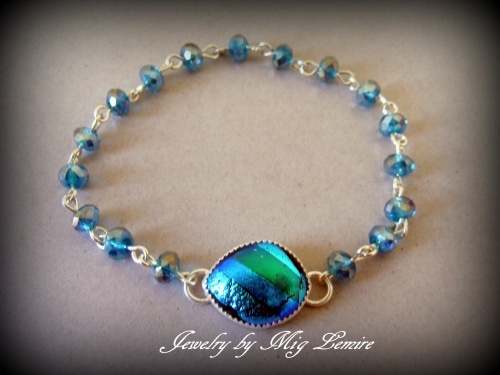 This bracelet is made of Austrian Swarovski crystals and woven with sterling silver. The focal is a handmade piece of flashy dichroic glass framed in sterling silver. Fits medium wrists or 7 1/2". Comes with a lobster claw clasp not seen on picture.